Country’s Edge @ Donwood in Dover Pa $10,ooo Builder Incentive’s on new builds. Take a look a the models we have to choose from. Your home is one of the biggest investments you’ll ever make. 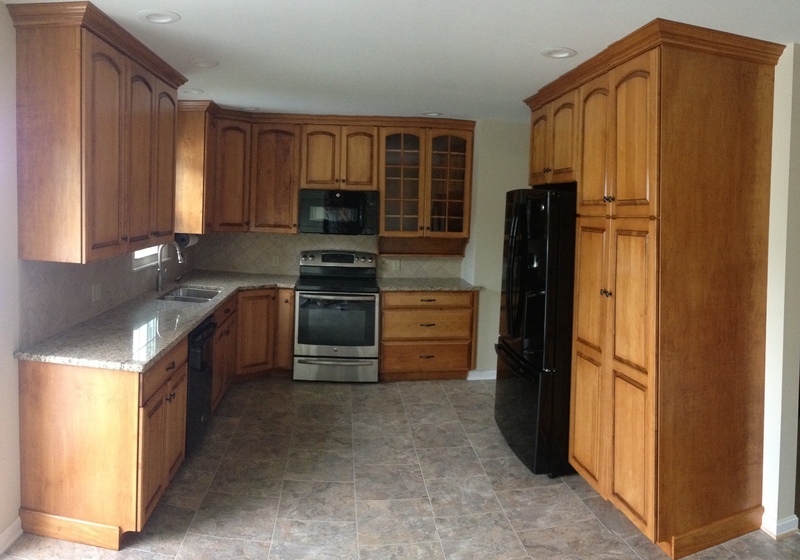 Dombach Builders will build or remodel your home using the highest-quality standards to create friendship and trust. Whether it is one room or the whole house, remodeling breathes new life into your home. Let us renovate your home … and tranform it into one that is functional and fun. Each family has a specific vision for their home – from floorplan to fixtures. 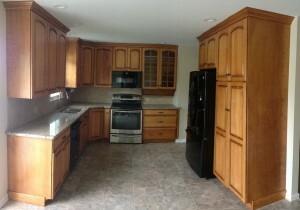 Let us custom build a home that matches your distinctive needs and will bring you joy and pleasure for years to come. Whether you want to build your dream home or modify your existing one, discover how our design/build process can be the right solution for you. Picking the right building/ remodeling company is an important step in ensuring success. Here are some tips of how to pick the right one. We are so pleased with the new deck. Your crew did a great job and were a pleasure to have around. Dear Ken and the great crew at Dombach Builders! Thank you so much for another great job at our home. We appreciate the quality of workmanship. All the workers were a joy to work with during our project. Thanks again and Happy Thanksgiving to all! What a great experience! The addition was done professionally and on time. Our family has enjoyed our new living space tremendously. Thanks for all the suggestions and coordination. We wanted to take this opportunity to thank everyone at Dombach Builders for the beautiful and beautifully constructed final product that is now our new home. We can't say enough kind words about the help your crew gave us throughout the process. Your subcontractors were easy to work with and dealt with our work schedules and gave good suggestions, yet fully allowed us to design our own home from top to bottom. The custom cabinets have been the absolute highlight of every house tour we've given to our friends! Over the years, we've heard many friends say "It was awful, we will never build again:. Thanks to you and the craftsmen you employ, we will never have to say that but will, instead, relate the wonderful experience we had with Dombach Builders. We are very pleased with the new addition. We have appreciated the excellent work, attention to detail and the terrific people who are part of your organization. Many people have commented on how great everything looks. We would like to thank you for helping us achieve our dream of having a more comfortable, roomy, efficient home. We love our new addition and have received some very kind compliments from others. From the initial architectural designs to the final touches and inspections. We were impressed with the care of accuracy you and your staff provided. 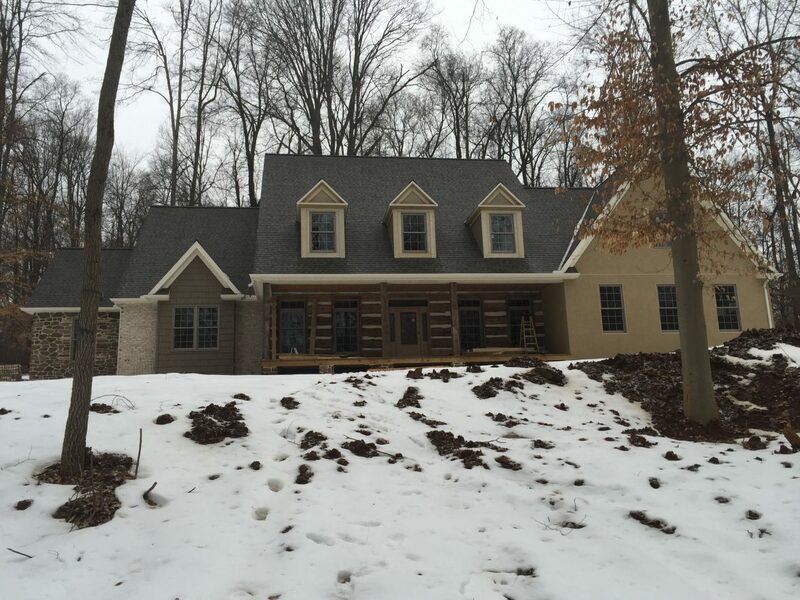 We are proud to recommend Dombach Builders to those who are searching for top notch quality work performed by conscientious, highly skilled gentlemen. Believe it or not, we miss you guys! Thank you so much for another great job at our home. We appreciate the quality of workmanship, and all of the workers were a joy to work with during the project. Thanks again! I just wanted to thank you for the way in which the work on my house was done. Andy is a gem and all who worked here were very nice men as well. I know that you probably hear a lot of complaints so I wanted you to know that I am very thankful and appreciative of the work that was done by your company as well as the way in which it was done. I know I will enjoy using my new sun room for many years to come. God Bless you! 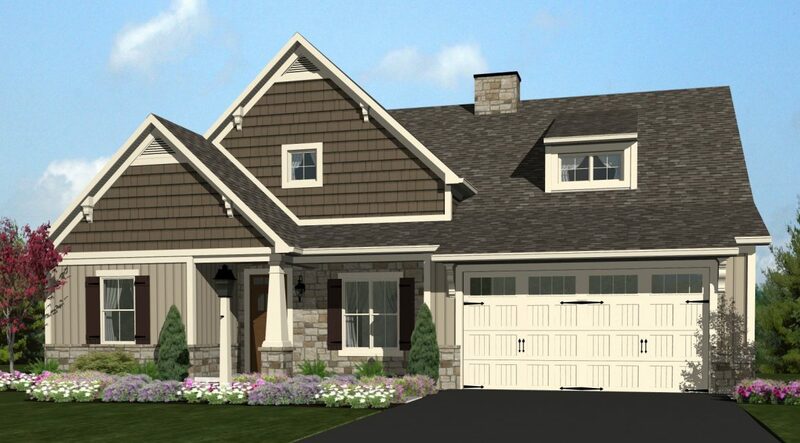 This custom home was once featured in the Lancaster Parade of Homes and won Best of Show for its division. It is a 1-1/2 story Patterson model home with 2.000 s.f. 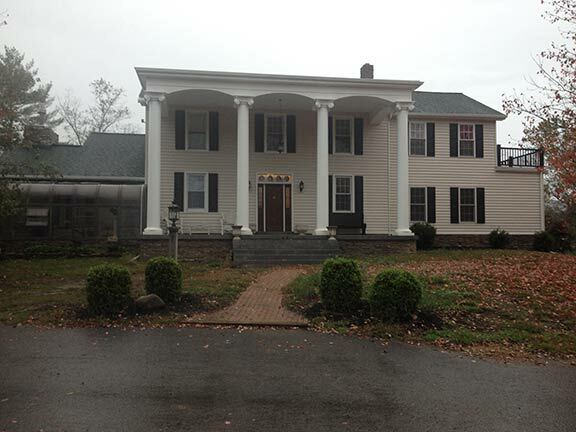 It has a first-floor master suite, great room with high ceilings and an open floor plan. The exterior is and easy-to-maintain brick veneer.